Slot gaming is enjoying something of a renaissance in the 21st century with many online sites offering a quick, easy and often profitable gambling experience. But whether you’re a newcomer or an experienced slots player, there’s a massive amount of choice when it comes to playing slots in 2016. So here’s a quick overview of the slot gaming options that are available, and how you can maximise your potential for picking up some big winnings! Also known as classic slots, this iconic slots game has been with us for over one hundred years, but still manages to provide the most simplistic way to see if lady luck is on your side. 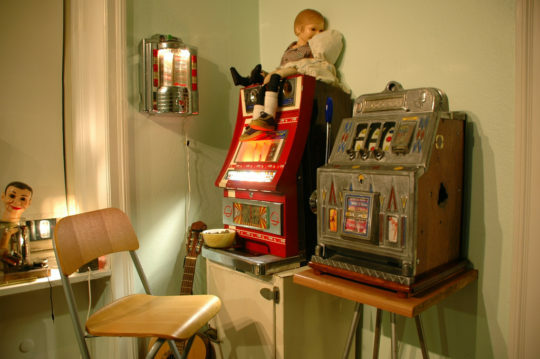 The classic slots game is perhaps most associated with simple pub and bar machines that usually required players to match up fruits and sevens and even get a bonus from the occasional wild card. There’s been plenty of examples of people winning big on penny slots, and though recent technological innovations have meant that classic slot games can seem a little old-fashioned, they still provide a simple and fun way to gamble. However, it’s when slots manufacturers started to add extra reels to slots machines that things started to get interesting. With the advent of five-reel slot machines, it made it harder to match up the symbols, but the tougher probability brought about many increased winnings. But they didn’t stop here, as when multi-payline slots gaming was introduced, it added a further level of complexity by allowing the player to bet on up to twenty lines in the slot machine, which may sound confusing but can offer some highly profitable payouts. Slots gaming in the digital era has certainly added many fascinating features with mobile slots sites like LadyLucks offering a great range of games in all manner of different themes, colours and playing styles from the convenience of a smartphone. And it’s not just the massive variety of slots games that are based on TV shows, historical characters and fantasy themes that are revolutionising slots. This is because it’s the arrival of progressive slots gaming where multiple machines are linked together to deliver some truly massive winnings that has reinvented the modern slot playing experience. So whether you’re playing a simple one-armed bandit or figuring out the payline options on a mobile slots site, there’s many amazing ways you can pick up some big winnings!